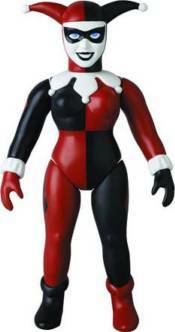 Batman Harley Quinn Sofubi Previews Exclusive Action Figure:Harley Quinn - as a fantastic Japanese Sofubi Figure! Measures almost 10-inches tall. A limited edition of just 500 pieces outside of Japan! Harley Quinn is getting the Sofubi treatment! The Joker's voluptuous main squeeze stands nearly 10-inches tall and is limited to 500 pieces outside Japan!